We will enter negotiations with Greece with good faith and without fear, in an effort to overcome our differences, said Macedonian Foreign Minister, Nikola Dimitrov in Sunday’s interview with “Radio Free Europe”. “If there is a defeated side it will not be good for the winner or for the loser, because terrible nationalism will develop. We need to find a way where both sides can come out with the feeling that they have protected what is most important. We will not negotiate with fear and we can not come out of this with a solution that will not cover our main concerns”, said Dimitrov. 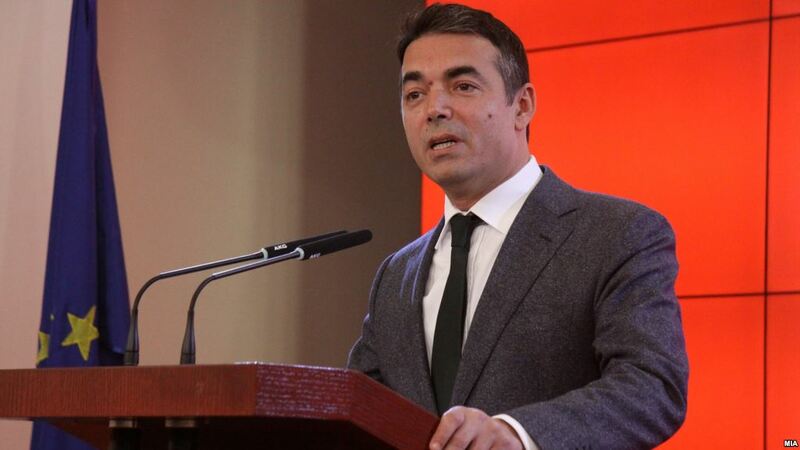 When asked how prepared is the government to go in the negotiations and whether there will be reciprocity in the eventual change of the names of the highways, monuments and textbook revision, the Macedonian Foreign Minister said that they did not discuss this issue in government. “I think it is crucial to understand that patriotism means concern for the state and it is crucial that we take away the arguments of those political forces in Greece who have an interest in holding the blockade. Basically, in the statement by Kotzias, he had or at least implied that this would be a two-way process”, said Dimitrov. Regarding the pace of the negotiations, the Foreign Minister said that this will depend on the assessment of mediator Matthew Nimetz and from the reports and upcoming EU and NATO summits, as well as from the election cycles in Macedonia and Greece.